Before you leave the hospital or birthing center, the nursing staff should offer hands-on lessons in feeding, bathing, and changing your baby. They should also remind you of any trouble signs that warrant a call to the pediatrician. If you dont already have a pediatrician lined up, this is the time to find one who is well-qualified, conveniently located, and personally compatible. It is most helpful if your pediatricians office has a call hour when you can ask questions. Youll also be given an appointment for a routine post-partum checkup from the obstetrician for yourself and from the pediatrician for the baby. 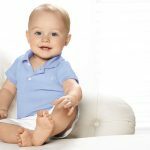 Often, the babys checkup is scheduled for two weeks after birth, but you many need it sooner, particularly if there were any problems early on. At home, you will soon discover the best ways to keep the baby comfortable and happy. Babies vary tremendously in their likes and dislikes, as well as in their overall moods and body rhythms for example, sleep cycles and elimination patterns. Before long, your babys unique patterns of behavior will make total sense to you. 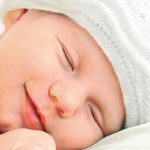 You will find that the babys special warmth, newborn smell, and soft movements awake your own natural caring patterns that enable you to tune in to his unique needs.